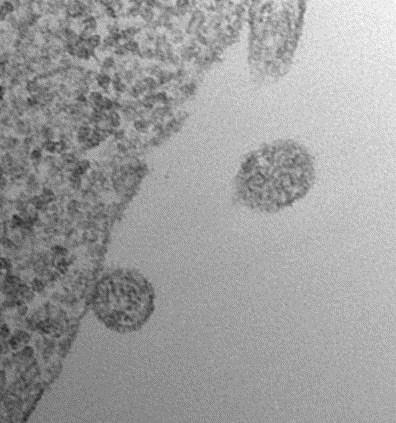 A specific microRNA, a short set of RNA (ribonuclease) sequences, naturally packaged into minute (50 nanometers) lipid containers called exosomes (see image), are released by stem cells after a stroke and contribute to better neurological recovery according to a new animal study by Henry Ford Hospital researchers. The important role of a specific microRNA transferred from stem cells to brain cells via the exosomes to enhance functional recovery after a stroke was shown in lab rats. This study provides fundamental new insight into how stem cells affect injured tissue and also offers hope for developing novel treatments for stroke and neurological diseases, the leading cause of long-term disability in adult humans. The study was published online on April 30, 2013 in Stem Cells. Although most stroke victims recover some ability to voluntarily use their hands and other body parts, nearly half are left with weakness on one side of their body, while a substantial number are permanently disabled. Currently, no treatment exists for improving or restoring this lost motor function in stroke patients, mainly because of mysteries about how the brain and nerves repair themselves. "This study may have solved one of those mysteries by showing how certain stem cells play a role in the brain's ability to heal itself to differing degrees after stroke or other trauma," says study senior author Michael Chopp, Ph.D., scientific director of the Henry Ford Neuroscience Institute and vice chairman of the department of Neurology at Henry Ford Hospital. The experiment began by isolating mesenchymal stem cells (MSCs) from the bone marrow of lab rats. These MSCs were then genetically altered to release exosomes that contain specific microRNA molecules. The MSCs then become "factories" producing exosomes containing specific microRNAs. 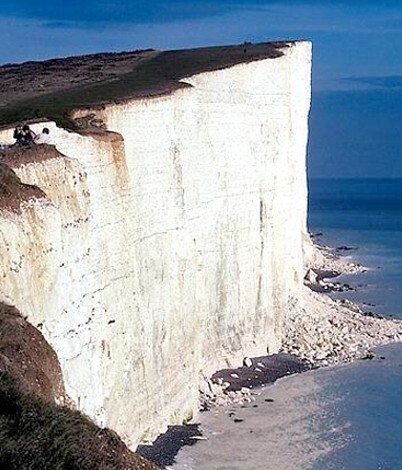 The University of Exeter recently contributed to a major international project to sequence the genome of Emiliania huxleyi, the microscopic plankton species whose chalky skeletons form the iconic white cliffs of Dover. The results of the project were published online on June 12, 2013 in an open-access article in Nature. Emiliania huxleyi is one of the most abundant marine phytoplankton species and is a key player in the process of CO2 exchange between the atmosphere and the ocean. In some marine systems 20% of the total carbon is fixed by E. huxleyi. This microscopic alga has influenced the global climate for over 200 million years, so is used as a model system for studying how physical, chemical, and biological processes regulate the Earth's systems. The algae form pale chalky cases called coccoliths which during the spring bloom can be seen from space in the seas around the UK. E. huxleyi directly links to climate change through the production of dimethylsulfide (DMS), which induces cloud formation and blocks solar radiation. Thanks to new technology – next-generation DNA sequencing – 13 different isolates were sequenced from around the world, and compared to a complete sequence constructed for E. huxleyi strain CCMP1516. This allowed the team to understand the influences of different environmental conditions on E. huxleyi physiology. The international team found that E. huxleyi possess a higher number of genes than previously published marine phytoplankton genomes, and that most genes were present in multiple copies. Dr Mark Van Der Giezen from the University of Exeter said: "Using comprehensive analysis to compare different strains of the algae, we demonstrated that E. huxleyi should no longer be considered a single species. This year’s Rössler Prize has been awarded to Dr. Olivier Voinnet (photo), Professor of RNA Biology in the Department of Biology, ETH Zurich. The Frenchman receives the CHF 200,000 research prize for his groundbreaking discoveries in the field of molecular and cell biology. In 1990, scientists introduced a gene known to stimulate the production of flower pigments into petunia flowers to enhance their color. However, the genetically modified plants turned almost white. The newly introduced genes not only failed to be expressed, but they also suppressed the naturally present one. This mysterious inactivation of genes, later found to rely on species of very small, non-coding RNA molecules, is now regarded as one of the most fundamental discoveries of modern biology. The function and applications of what are now known as small interfering RNAs, or siRNAs, have since become integral to biological research and applied medicine. However, many aspects of this new class of RNA molecules and their biological effects, collectively referred to as ‘RNA interference,’ or RNAi, remain unexplored. Dr. Voinnet, 41, worked on this group of molecules as a Ph.D. student and discovered how plants use RNAi to defend themselves against viral infection. Because the siRNAs originate from the virus itself, plants can use them specifically against the pathogen, in a sequence-specific manner. In 1997, Dr. Voinnet was able to demonstrate that RNAi can spread throughout the whole plant to confer immunity against the triggering viruses and that, as a counterdefense, viruses evolve proteins that suppress RNAi. A year later, researchers Dr. Andrew Fire and Dr. Craig Mellow discovered a similar mechanism in the nematode C. elegans, and they were awarded the Nobel Prize for this discovery in 2006. Over the last 15 years, Dr.